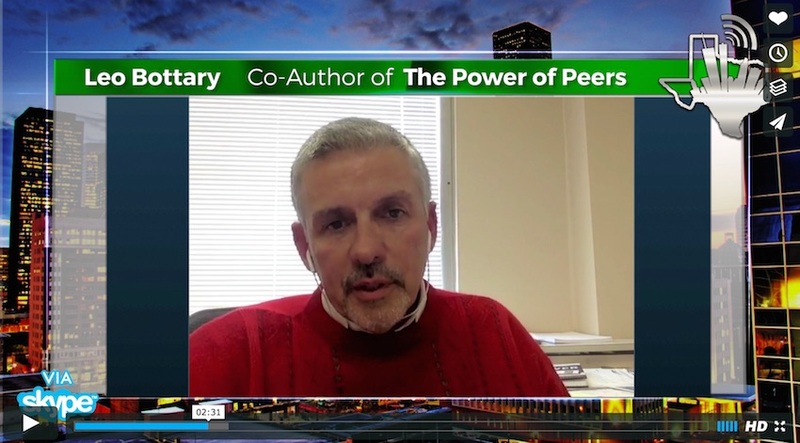 The Power Of Peers: How The Company You Keep Drives Leadership, Growth and Success by Leo Bottary and Leon Shapiro is a new book extolling the virtues of surrounding yourself with people willing and able to help you. Peers with no other agenda, other than to help you succeed. It’s an experience most CEOs and top leaders have never experienced. Most of us are accustomed to going it alone. Well, sure we’ve got our direct reports, our employees, our vendors, our service professionals who help us with things like insurance and legal things — but we’re stuck knowing that at the end of the day, the decision is resting squarely on us and all these other people have a perspective based on what they need from us. It doesn’t make them bad people, and mostly they’re not driven by some conscious decision to tell us what we want to hear – it’s just how things go. People don’t want to disappoint us, so they acclimate to the culture. It doesn’t have to be that way. There are better ways to go. Ways where we can surround ourselves with other CEOs and top leaders who are in the same boat we’re in. People capable and willing to help us move forward and people who need us to help them move forward. It so powerful that it can feel magical. The authors offer compelling reasons why CEOs should abandon the Lone Ranger mindset and find peers who will help them, and who will accept their help in return.